Scientific Workflows (SWFs) need to utilize components and applications in order to satisfy the requirements of specific workflow tasks. Technology trends in software development signify a move from component-based to service-oriented approach, therefore SWF will inevitably need appropriate tools to discover and integrate heterogeneous services. 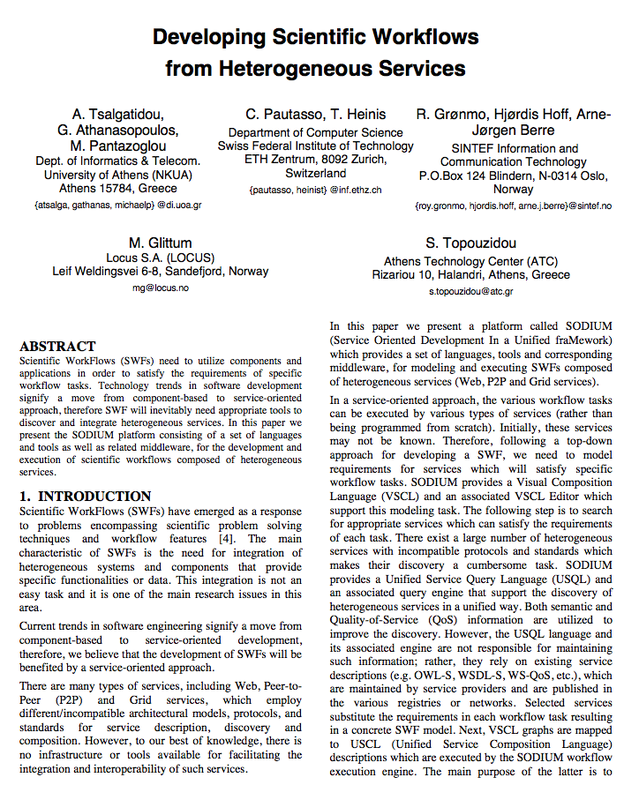 In this paper we present the SODIUM platform consisting of a set of languages and tools as well as related middleware, for the development and execution of scientific workflows composed of heterogeneous services.